The Core plan was designed with a focus on reducing the complexity found in traditional eLearning. To achieve this, we've taken our Pro plan (which in it's own right is an easy to use platform) and stripped it back to basics, providing users with a truly uncomplicated platform that focusses on the key jobs required in creating and delivering quality online training. Rather than rattling off the features included in the Core plan, we like to define the Core plan by the features it doesn't have. Key features we've omitted from the Core plan include groups, departments, granular permissions, assignments and manual grading. These are powerful features that most of our users enjoy but can be confusing and unnecessary for others. If thats you, then this is the plan for you. 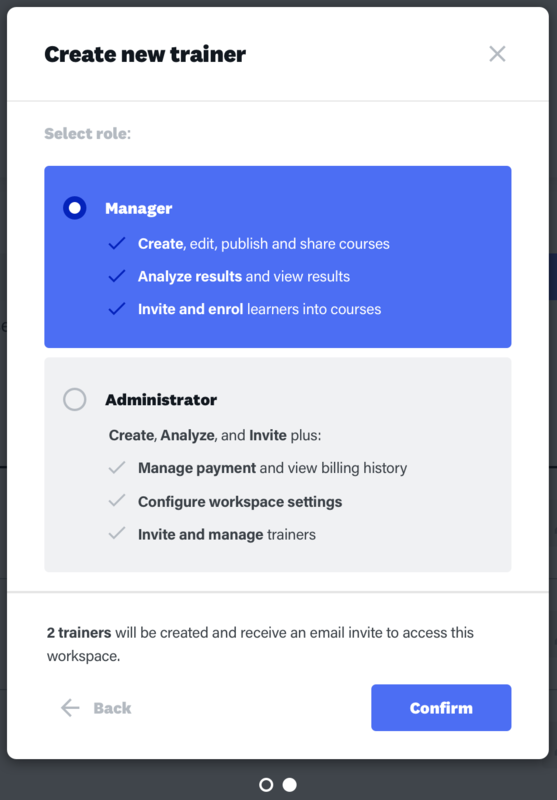 The first thing you'll see when getting into your workspace a demo course and a big create button that will allow you to start creating courses right away. But before you get started, you might want to take a look around first. The 3 key areas you need to focus on in the navigation are Create, Users, and Reports. Working on a just a few jobs in each of these sections will allow you get up and running in just a few easy steps. 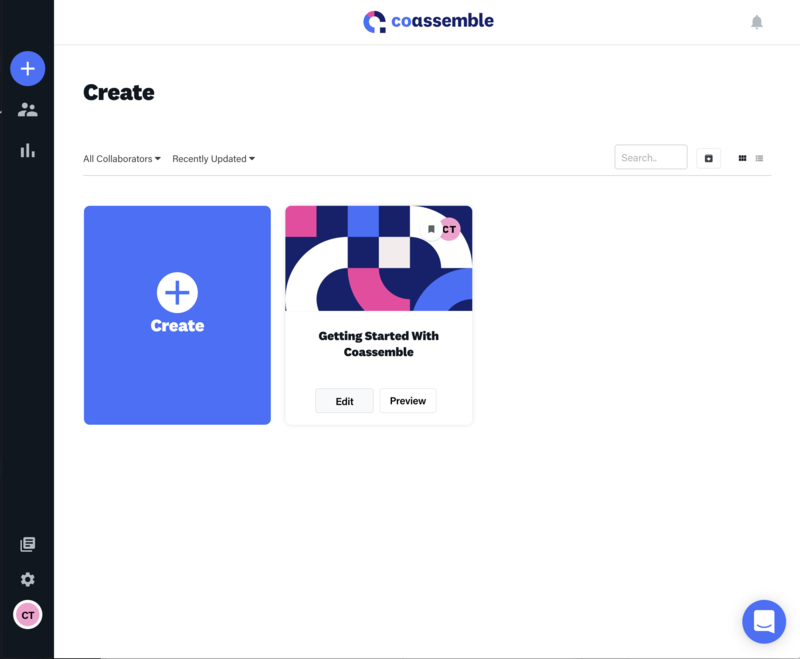 Before you get started, you'll probably want to invite some users to help you get your training material ready so that you can start enrolling learners. 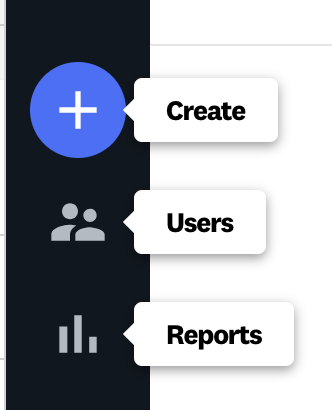 To invite new users to your workspace, head over to the users page, then navigate to the 'Trainers' tab. Once you're there, just click on the big pink button that says 'Create Trainer' and follow the on-screen-instructions. We use the term 'Trainers' to refer to any user who isn't a student. 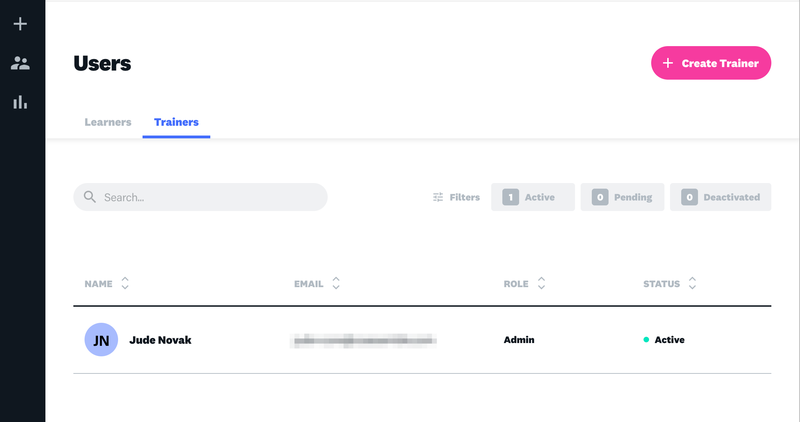 You can select between 2 roles when creating a trainer; Manager or Administrator. Any new trainers you add here will receive an email invite to come and join you in the workspace. Before enrolling learners into courses, you'll need to create one first! The create screen allows you to create new courses and edit or duplicate existing courses. 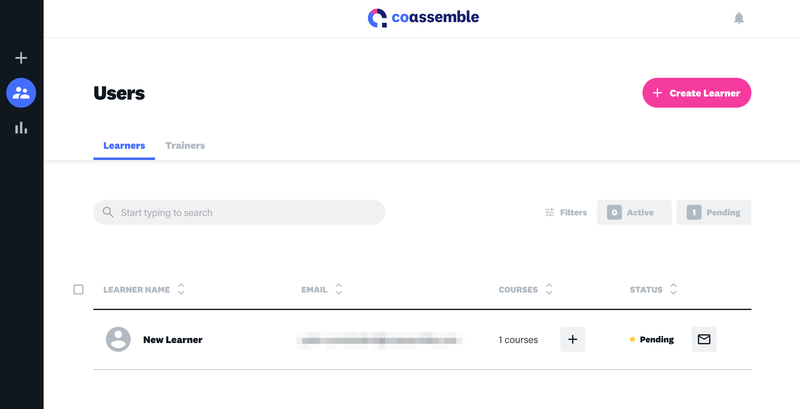 When you edit a course you'll have access to a range of course modules that allow you to build out your courses including lessons and quizzes. Find out more here. To invite and enrol learners into a course, simply click the big pink 'Create learner' button and add the email addresses of the users you want to add. You'll have the option to enrol the users straight into a course. If you choose to do this option, any new learner you create will receive an invite by email and can get started learning right away. As soon as your learners start their courses, you'll be able to track progress from the reports page. Simply navigate to the course report to see a list of all of your courses, then drill down into your learner results from there.